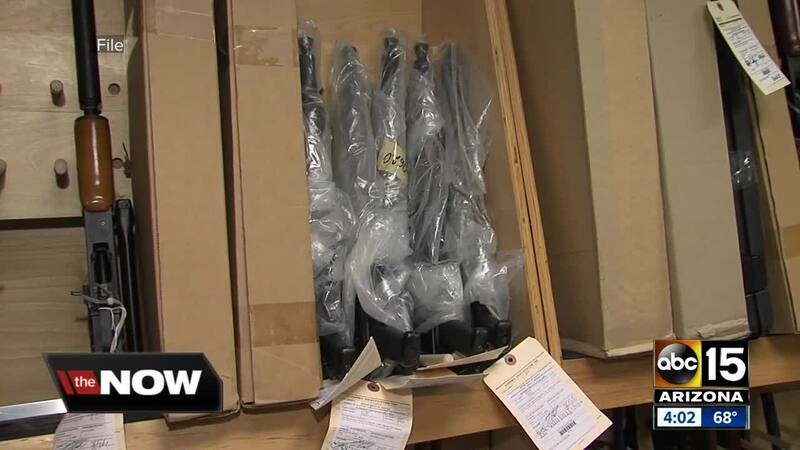 After a months-long investigation, MCSO officials say 50 of their guns are missing. 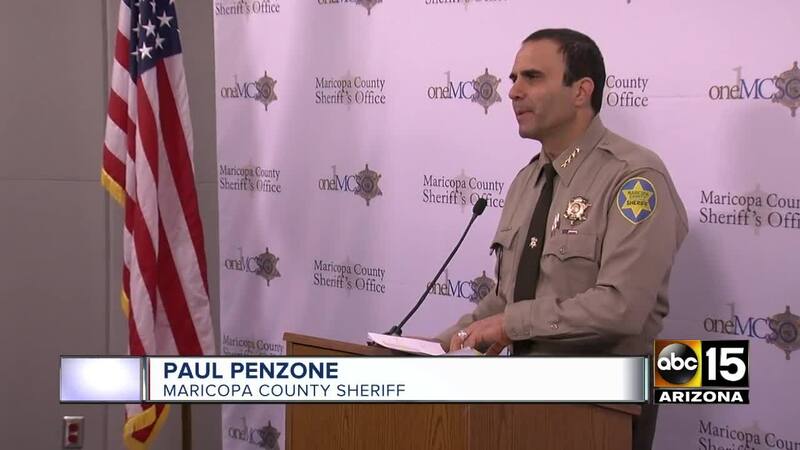 PHOENIX — Sheriff Paul Penzone announced Friday that an armed enforcement branch of the Maricopa County Sheriff’s Office will be temporarily suspended after a department-wide audit revealed almost all members of the branch had not completed every step of required testing. According to Penzone, of the 235 members of QAP, only four members had actually completed all the aforementioned qualifications. QAP members have been temporarily suspended, Penzone said. Penzone said he hopes that within 60 days, any individual wishing to rejoin the organization can be reprocessed. Today’s announcement came as the sheriff addressed missing weapons from the department. The audit was ordered when ABC15 discovered guns used by a suspect in a freeway shooting on I-17 were weapons that belonged to the county. 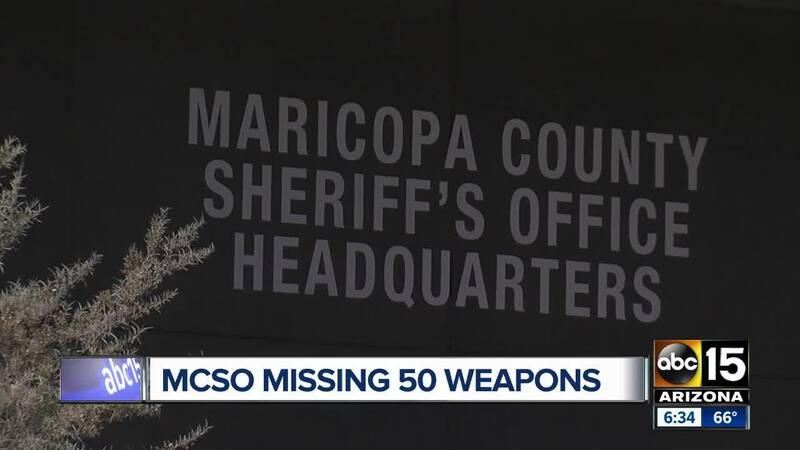 According to the audit conducted by MCSO along with the ATF, 50 guns were found to be missing from the Maricopa County Sheriff's Office. The department was previously aware of the 29 missing firearms due to a 2016 audit, but MCSO worked with the ATF because “Record keeping in previous administrations were so poor we did not have enough data to actually account for our weapons to determine what was missing” Penzone said. 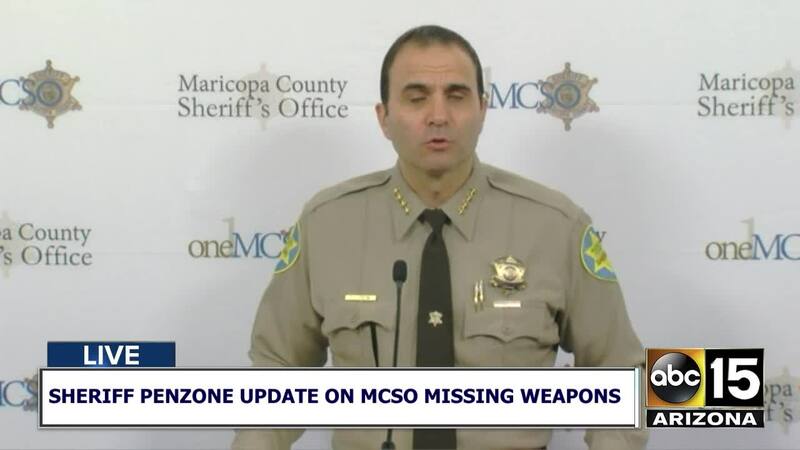 Penzone criticized the previous administration run by former Sheriff Joe Arpaio, citing disorganization as the main reason so many weapons were stolen or went missing. Moving forward, a new cataloging system will be implemented at MCSO. Every member of the organization will be required to bring their own county issued weapons, as well as privately owned weapons to qualification tests, according to Penzone. Firearms, serial numbers, and the ID of the gun owner will be photographed and stored in a database.